Under this pilot agreement, signed on November 2015, the MLLP group will provide remote video transcription and translation services to the CdT – Translation Centre for the Bodies of the European Union. The Translation Centre for the Bodies of the European Union (CdT) is the EU public agency in charge of providing and coordinating translation services for the over 40 decentralized EU agencies scattered across Europe. Based in Luxembourg, it has in its staff over 100 translators, covering the 24 official EU languages, and its main services include translation and video subtitling. 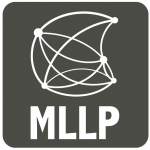 The Universitat Politècnica de València’s Machine Learning and Language Processing (MLLP) group is a research group based at the UPV’s Dept. of Computer Systems and Computation (DSIC), its main research areas being Machine Learning and Applications, Natural Language Processing, and Educational Technologies and Big Data. During its most recent EU projects, the MLLP has made a strong effort in developing and deploying state-of-the-art systems for automatic transcription and translation of media and text in several languages, based on internal technology, which can be tried with your own media files at http://ttp.mllp.upv.es/. Under the newly signed technological support agreement, the MLLP group will provide remote video transcription and translation services to the CdT. We at the MLLP look forward to a fruitful cooperation with the CdT. Posted in All, Projects and tagged Automatic transcription and translation, CdT, EU official languages, MLLP agreement, Natural Language Processing, Video subtitling.